Planning your wedding can be frustrating, complicated and time-consuming at best. How will great-aunt Sophie and cousin Jon from out of town get from their hotel to the wedding? Who will drive the bride and groom from the wedding for destination pictures? This is where Chicago Party Bus Rent can save the day. Our stretch limousines are essential for ensuring you get to the church on time, and our stretch SUVs are the ideal transportation for bridesmaids and groomsmen. For great-aunt Sophie, cousin Jon and the parents of the bride and groom? 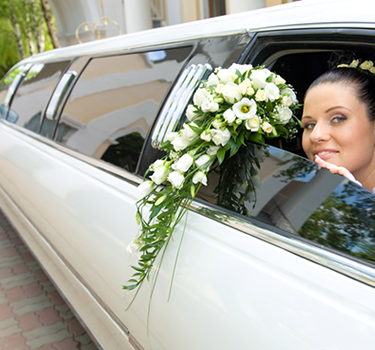 A plush and comfortable limousine is the ideal way to get everyone on time to the ceremony. Make your wedding day the best day of your life – let Chicago Party Bus Rent handle all of the transportation details, letting you focus on what’s important – the next phase of your life. And once the bouquet has been thrown, that last bite of wedding cake eaten and your first dance completed, let us whisk you away to the beginning of your new life. Your wedding day is one of the most important days of your life. Let us take care of you. You will arrive in style and comfort. All we’ll ask you to do is sit back and enjoy the attention. We have beautiful top of the line limousines to get you to the church on time, Stretch SUVs perfect for your bridesmaids/groomsmen. We can have a limo on the ready for the parents, and a Party Limo Bus or Trolley for the entire party after the ceremony. When all is said and done; the flowers have been tossed and the electric slide danced, let us whisk you away to the beginning of the rest of your lives. We’ll even be your “get-away’ limousine after the reception is over. Congrats, you’re getting married, (or know someone who is.) Let Flash Limousine be a part of the big day. 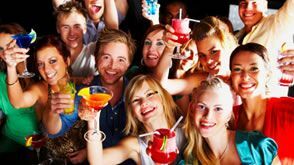 We offer fun, exclusive VIP packages for Bachelor and Bachelorette Parties to the hottest spots in the city and suburbs. Our Party Limo Buses are sure to give you the excitement and space you need to make the most of your last hurrah. All buses come equipped with surround sound, flat screen TVs, multi-colored lights, and a mini bar. You just provide the fun. Feel free to bring your favorite beverages, we’ll provide the water, ice and an assortment of soda. Have a specific request, give us a call and we will do our best to meet any reasonable request. No one wants to be the designated driver for a bachelor or bachelorette party … so why not let Chicago Party Bus Rent take on the job? With a fleet of stretch limousines and party buses at our disposal, you’ll be sure to find exactly what you are looking for. We provide the water, soda and ice – you provide the drinks and the memories! We have very flexible and reasonable options for any budgets, and can accommodate most requests. Our rentals always include multiple stops, continuing the party for as long as you want it too. Our buses have surround sound, flat screen TVs and multicolored lights, the perfect way to get the party started. Contact Chicago Party Bus rent for more information on your wedding, bachelor or bachelorette party. 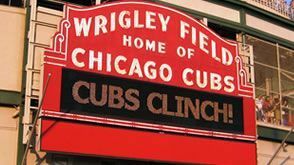 Do you want to surprise your loved one with a sightseeing trip to see the lights of Chicago, followed by a night of the town? Want to propose to your significant other – in style? 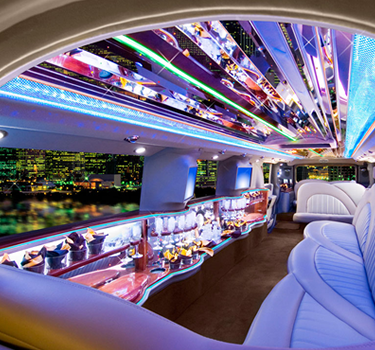 Chicago Party Bus has the perfect vehicle to provide the right ambiance and feel for your special occasion. Have you been tasked with arranging for transportation for the executives from head office? Need to get a group of employees from work to a corporate retreat? 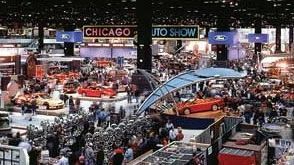 Look no further than Chicago Party Bus; our limousines are always spotless and our professional drivers are always courteous. What better way to get to and from a concert or sport event than a stretch limousine or a limo party bus, or a coach or a mini coach bus. Start the night out in style as we pick you and your friends up in one of our luxurious and classy vehicles. Graduation and prom are already nights to remember; make them even more memorable with a stretched limousine, limo party bus, stretched Hummer, SUV, from Chicago Party bus! Parents, rest assured that your children will get home safe and sound; and they will have a blast! Are you planning a family reunion this summer? 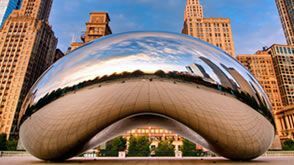 Why not showcase the City of Chicago with a city tour, and bring everyone together! If you and your friends want to have a night out on the town, Chicago Party Bus Rent has your stretch limo, Hummer, SUV and Party Bus; paparazzi not included.